Your move in Golden Beach may be just down the sand, but that doesn’t give you less items to have to pack. Moving can be a pain, especially with the call of the Atlantic so close by. Avoid the stress of moving by choosing a moving team that offers you a full service option. 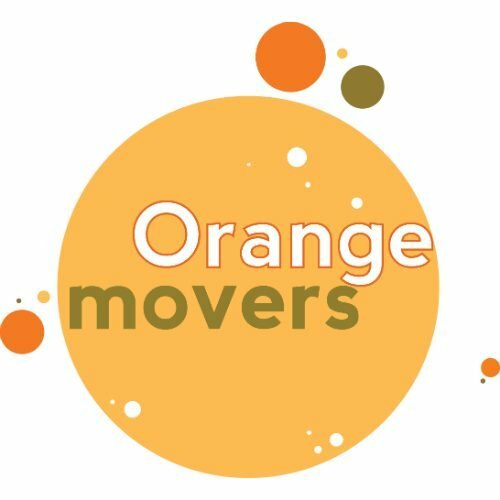 Orange Movers will happily take on the task of boxing your possessions and dismantling your furniture, to get it onto the truck and into your new Golden Beach home. This is the easy and convenient way to make a local move, especially when you have much better ways to take up your time. It is easy to forget about all of the stuff you own when it is stored away in closets and under beds. Once you do a quick check of all your possessions, you’re going to see that getting ready to move in Golden Beach requires some professional help. A local moving deal will have all that packing taken care of by professionals, at rates that are lower than you’d expect. Moving a commercial enterprise in Golden Beach comes with its own set of challenges, even for a small one. Our commercial relocation team is always ready to take on those challenges, and bring your business to its new location seamlessly. We know your primary concern is get this done quickly, at a reasonable cost, and you’ll find that Orange Movers meets and exceeds both of those expectations. Not even the grandest of pianos creates a challenge that Orange Movers can’t handle. Specialty moves in Golden Beach are common, and include everything from fine art collections that necessitate TLC, to oversized furniture that needs a strategy to make it out the door. Local moving your special possessions requires a special touch that only our company is going to provide. Ask around Golden Beach and you’ll find that we have an unbeatable reputation for expert local moving at a fair price. Residents and business owners come back when it is time to move again, and are referring us to friends and family who are also moving locally in Florida. Nothing speaks more loudly about how a moving company works, then a high volume of satisfied customers singing its praises. We have moved thousands across Southern Florida to establish this level of trust, and are looking forward to extending that service to you. Golden Beach residents have a number of local moving options to consider. Truck rentals are available, but you have to pack and load yourself. Pods can allow you to pack at your own speed, but the wind and rain could damage what’s inside. Orange Movers can come in, pack your belongings and take apart your kid’s bunkbeds. And then we will reverse the whole process inside your new home. Full service moving gives you the benefit of time and relaxation, and with Orange Movers, it is all done at reasonable rates. Not every local moving company in Southern Florida is going to provide you with transparent pricing and in-home estimates for accuracy on your contract. Confusing language and fine print are often used in order to help confuse your move and hide extra fees in the price quote. Don’t commit to a local moving contract until you’ve gotten an in-home quote from Orange Movers. Ours will be the only realistic look at how much moving in your stuff in Golden Beach is going to cost. There is no escaping the hard work and unexpected hurdles of a local move, but at Orange Movers, our team is ready for anything. Through our vast experience at local moves in Golden Beach, we have encountered numerous challenges and surmounted them all. These are the items you treasure most, don’t trust them to someone that doesn’t appreciate their value. When you work with Orange Movers, you can rest assured that our experience is going to make your moving experience a stress-free one. Our goal is for our clients to enjoy moving again, something that can only be accomplished when we take over the hard work. Treat yourself to a full service local move in Golden Beach, and be ready to hit that surf just minutes after moving in.